This little table was so easy to make. It barely cost me any money at all. For one, I found the table on the side of the road. So, it was free. If you are looking to make homemade furniture, sometimes checking at various dumpsters is the way to go. I would also suggest going to thrift stores like Goodwill for some cute, inexpensive furniture. You can find real gems at places like that. Though, the top of this table was weathered, it did not matter (because I was going to paint over it anyway!). 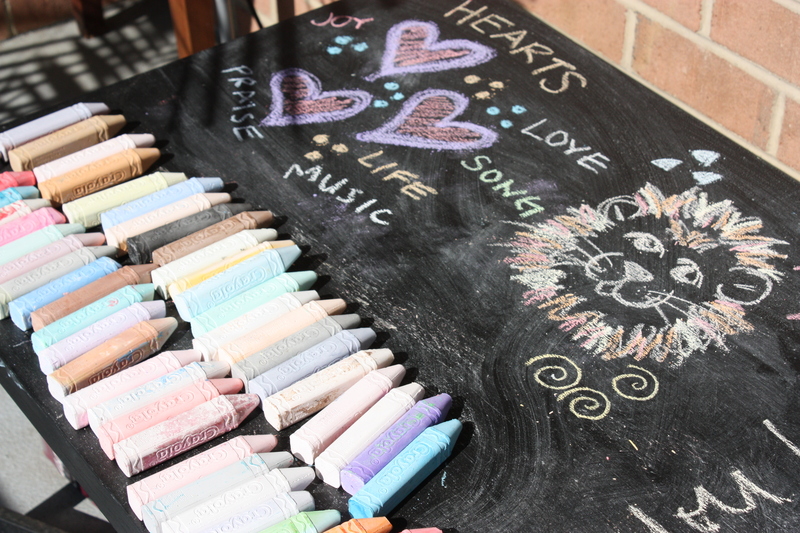 All you need to do is purchase chalkboard paint for this little craft. You can get this at any craft store for about $6. Or you can buy it online, here. Chalkboard paint is super easy to use. Benjamin Moore has a good little instructional write-up on just how you should use this type of paint. All I did was wash the weathered surface of the table. Let it dry and applied about 3 coats of this chalkboard paint. You want to apply about 2 coats and let the table dry for about an hour and then apply your last coat. I let the entire table dry overnight before I attempted to draw anything on the surface with chalk. Somewhat skeptical of the promise of a functioning chalkboard, I was super surprised at how well this works. Kids and adults will like this little table. 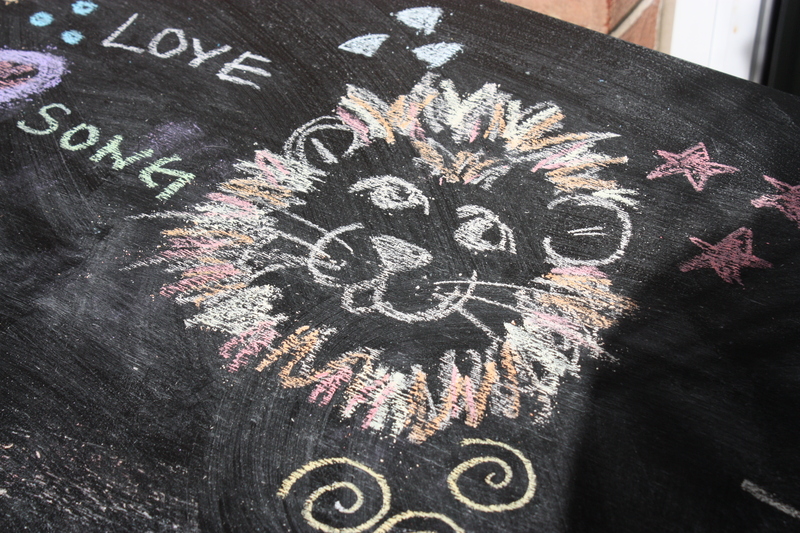 For kids, they can really geat creative and draw pictures with multicolored chalk sticks. For adults, have a wine and cheese party – and label the cheeses with chalk on your little table. Or use it for an herb garden and outline the pots with chalk and/or label one. 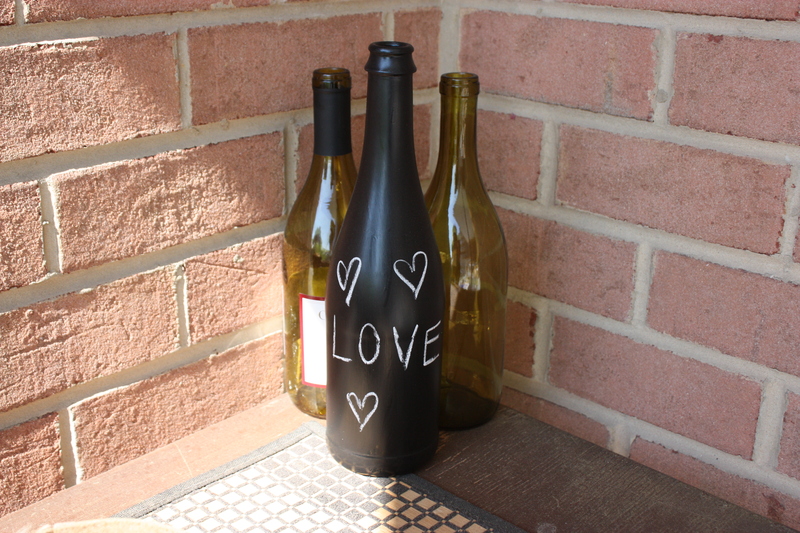 You can even paint a wine bottle with the paint – and use it as a vase. Your choices are really endless. Have fun with this little project.